The last month were busy – moving to switzerland, getting settled, start my own company and so on but in the end everything worked well – we love Winterthur and everything is on track i would say. Concerning sports i had bigger plans this year – wanted to prepare and get selected for WOC, train with the Leistungszentrum in Zürich but in february my foot injury crossed all my plans and even if i didnt know how long the healing would take it was pretty obvious for me that it was pretty serious: How it happened? After a very intensive running training camp in February i had on the last day an accident falling down some rocks: and already in the first second i felt that this must be very bad for my left food – i could almost not walk back and remove the shoe and not walk for a few days. All my other little injuries from this stupid crash healed quite fast but until now i dont really know exactly how bad the bone in the front food really was hurt – a first x-ray didnt really show so much – but as it was a place where you cant really get plastered the thing to do was wait and see but I was already told that it could take a long time: factum: i couldnt run at all for 6 weeks, after that just a few running sessions per week. It got always a little better until now with some bad weeks with resting and some good weeks with a lot of training. The whole thing had (as everything) something good as well tough: I immediatly cancelled all my big plans for going to WOC (and EOC and stuff) and „reduced“ my goals to go to WUOC in Alicante and run good races there and with these lower goals it worked quite well for me to concentrate on my foot getting better but also on my shape to train in a way to come back step by step. It also worked quite well to get more stable mentally – i didnt really care about results but just on improvements and until now i am really happy with the steps i made from week to week. Especially in sprint i made many trainings and am more and more happy about my improvements in orienteering and running – in middle i am still not back on track also because i still have pain running in rough terrain and beeing more anxious i think but also this gets better. 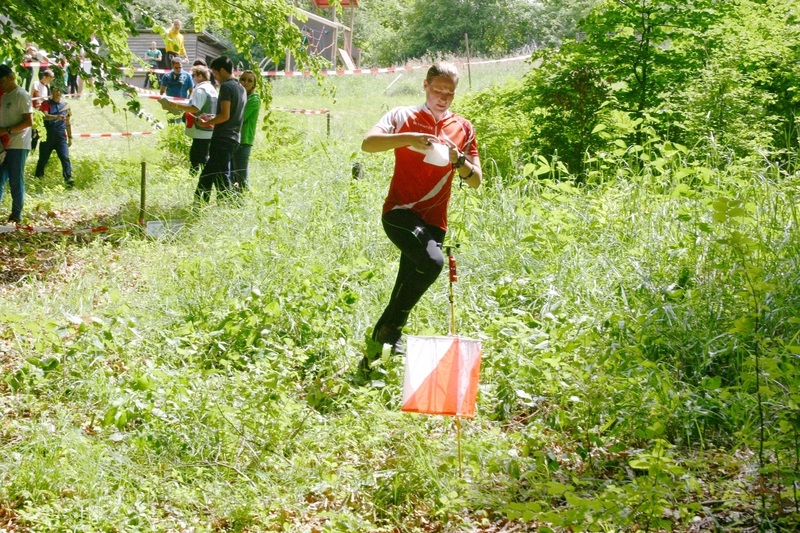 And even if my training motivation is not always as top as i would like it to be – i really enjoy competing in orienteering again which is cool! In the last two weeks i tried to get some race praxis with the academic champs in Austria where i was quite happy with my sprint race, a sprint in Helsinki (which was also ok) and Jukola (where i had a solid forest race with one stupid mistake unfortunatly but anyway 😉 and on this weekend i am looking foward to run the national races which are organised in the same terrain as the world cup to get – after a hard training week- some final race experience before travelling to Alicante in Spain next week. It will be my last WUOC there – at the place where i ran my first jwoc – then as a Jwoc baby with 17- now 10 years later as a WUOC oldie with 27 – but one thing is still the same: i am really looking foward to it :)! !